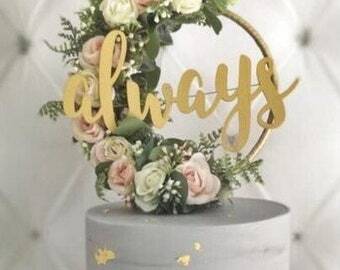 A gorgeous alternative to the classic wedding bouquet, a keepsake for your Bridesmaids, that extra special touch to your venue decor or perhaps a beautiful addition to the home, these light up floral hoops cover all possibilities - and what's more, they'll last for more than the 2017 trend, they'll last for infinity! 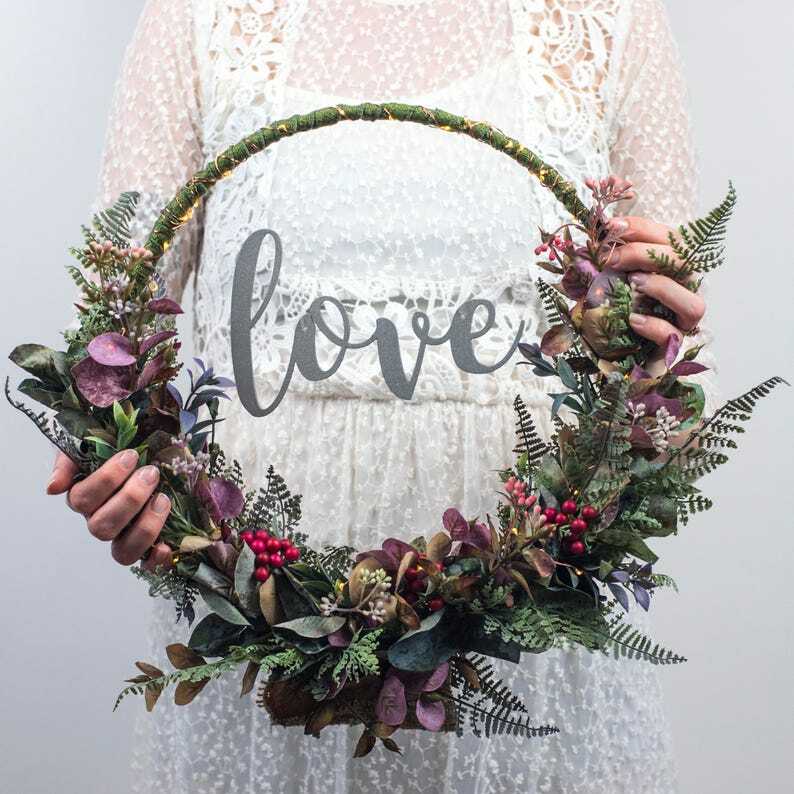 Design #2 of 'The Infinity Collection' is a delicate, vintage feel, loose foliage light up hoop consisting of Ruscus, Eucalyptus, Forest Fern, pink mini Wax Flowers, Viburnum Berry and Lavender. Hanging from the centre is a beautifully laser cut word which can be personalised to your request; Love, Bride, Groom, Noel - perhaps even a name? The photo shows the word sprayed in a beautiful silver, but up can choose from Copper, Silver or Gold. • Battery operated 30 micro warm white LED fairy lights – batteries included. Battery pack is cleverly hidden amongst the foliage. This item is absolutely stunning, thank you. I'm going to use it in my nursery when baby comes in Feb. Great communication from Vikki too.